There is increased cardiovascular risk and death with the conditions that arise from a malfunction of the immune system, arthritis. The systemic inflammations increase the likelihood of getting a heart disease. Inflammations of the whole body lead to arteries building up. It is a premature build up. More than 7 million of US citizens are affected by arthritis. One million of this number is women with rheumatoid arthritis. These can be treated with drugs and topical creams. They can also be treated by therapy that incorporates ultraviolet light. Those with arthritis are also susceptible to psoriasis with the rate being two in every ten people. Those that get psoriasis arthritis have an increased risk of suffering a stroke or a heart attack. They can also get cardiac arrest as well as high blood pressure. It is important to note that inflammations do not cause heart disease alone. Other risk factors also take a role such as diabetes and increased blood pressure. Inflammations increase the likelihood of developing heart disease. These inflammations are as a result of inflammatory cells that get into the bloodstream. These cells produce cytokines that enhance the production of inflammations. They also contribute to more inflammations as they recruit other cells. The process then restarts all over again. Another serious effect on the walls of the blood vessels is the remodelling that occurs. It causes more risk of rupture due to the deposits. It is these raptures that easily cause heart attacks. This risk is not only tied to people suffering from inflammatory arthritis. It can also affect those with osteoarthritis through the danger of causing inflammations. There is also speculation that there may be a direct link between damage that occurs in the blood vessels and the bones. Some practices make one vulnerable to risks associated with heart disease. These include smoking, diabetes, and lack of exercise and intake of foods rich in fats. Coincidentally they also contribute to arthritis. Half of the people with diabetes also get arthritis. Others are obese and have increased levels of blood pressure. A habit such as smoking increases the pressure in the blood. It also makes it difficult to exercise. The good cholesterol in the blood is lowered thus increasing the buildup of plaque. It blocks the arteries. Nicotine has been linked to promoting resistance to insulin. It usually results to increase the risk of getting a heart disease. When one quits smoking, numerous advantages come with it. One year down the line the risk of getting heart disease is reduced by half. After five years the risk of getting stroke is reduced completely. It is a bizarre situation as the drugs meant to control arthritis also can trigger heart disease. However, others reduce this risk. For instance, tocilizumab increases the levels of cholesterol in the body. Patients using this medicine should always ensure their cholesterol levels are observed. Prednisone is another drug that can increase cardiovascular risk. It is because it raises the levels of blood pressure. In as much as it helps retain the fluid, there is increase weight. It’s vital to maintain decreased steroids doses as it can help with the reduction of inflammations. For efficiency, try to balance the benefit of the drug with its risks. Whether the arthritis is rheumatic, lupus, osteoarthritis or even gout, they have an increased danger of resulting in a heart disease. 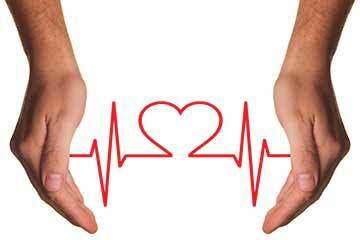 More than half the number of people with rheumatic arthritis results in premature deaths caused by heart disease. The increased levels of uric acid in people with gout have been linked to the risk of getting high blood pressure. To curb the increased danger of getting heart disease, it’s important also to reduce the other factors that favor heart disease. These include a reduction in smoking, intake of foods rich in fats and diabetes. It is possible also by employing the advice of the medical practitioner to achieve lower levels of inflammations. The risk factors for cardiovascular conditions should not be taken lightly. One should maintain a close relationship with their rheumatologists who can help with keeping in check the cholesterol levels in the body. It is also important to seek treatment for diseases as they arise in the body and not waiting till it’s too late. For instance, psoriasis can be treated with psoriatic arthritis treatment, provailen before it gets worse. Meighan Sembrano is an author at Consumer Health Digest. She has a keen interest in writing. She has contributed many beauty related articles in many popular websites. She has done her Mass Communication degree. She now lives in Washington DC. She is a social worker who spends her free time searching about life, health, beauty, world news and lifestyles fitness related articles. She is fond of traveling and trekking. Healthy Meals for a Happy Life- What are the Essential Elements? Whole-grain Noodles and Pasta or The Regular Maida, What to Eat?